Qualification: Candidate should be a BE/BTech in Agriculture/Agricultural Engineering/Rubber Technology/ Forestry from any recognized university in India. Application Procedure: Interested Candidates are required to apply online within the specified last date through the official website of Kerala Public Service Commission, the link to which is provided below. KPSC Kerala Public Service Commission | Govt. Jobs | Range Forest Officer Vacancy | Last Date: 19 October, 2011. 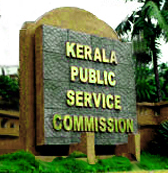 KPSC Kerala Public Service Commission: Recruitment BE/ BTECH Computer Science | Government Jobs 2010 | Jobs in Trivandrum | Last Date: May 19, 2010 | Apply Online. Kerala Public Service Commission | Govt. Jobs | Asst. Engineer Recruitment | Last Date: 06 February, 2013.